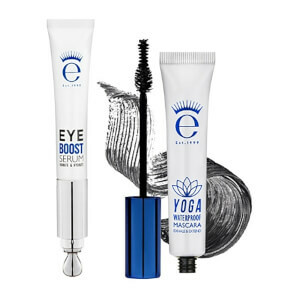 Mascara + treatment in one shot, for girls on the go! A botanical-fueled energising formula, infused with caffeine and a double dose of fibres to lift the sleepiest of ‘bed lashes’ for perkier volume, curl and care all day. 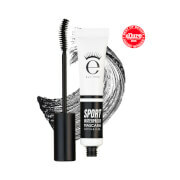 Lash Alert will improve long-term elasticity and resilience for naturally thicker lashes, around the clock. Aqua (Water), Acrylates/ Ethylhexyl Acrylate Copolymer, Cera Alba (Beeswax), Butyrospermum Parkii (Shea) Butter, Microcrystalline Wax, Copernicia Cerifera Cera (Carnauba) Wax, Stearic Acid, 1,2-Hexanediol, Polyglyceryl-3 Methylglucose Distearate, Magnesium Aluminum Silicate, Polyvinyl Alcohol,Triethanolamine, Isobutylene/Sodium Maleate Copolymer, Silica, Phenoxyethanol,Phenyl Trimethicone,Simethicone, Nylon-6, Dipropylene Glycol,PEG-40 Hydrogenated Castor Oil,Chlorphenesin, Dimethicone, Hydroxyethylcellulose, Disodium EDTA, Laureth-21,Alcohol, Magnolia Officinalis Bark Extract, Pentaerythrityl Tetra-Di-t-Butyl Hydroxyhydrocinnamate, Allium Sativum (Garlic) Bulb Extract, Camellia Sinensis Leaf Extract, Houttuynia Cordata Extract, Perilla Frutescens Leaf Extract, Perilla Ocymoides Seed Extract, Polygonum Multiflorum Root Extract, Arginine, Caffeine, Sodium Dehydroacetate,Angelica Gigas Root Extract, Apigenin, Astragalus Membranaceus Root Extract,Atractyloides Japonica Rhizome Extract, Biotin, Biotinoyl Tripeptide-1, Butylene Glycol, Cinnamomum Zeylanicum Bark Extract, Cnidium Of cinale Root Extract, Ethylhexylglycerin, Glycyrrhiza Glabra (Licorice) Root Extract, Oleanolic Acid, Paeonia Albiflora Root Extract, Panax Ginseng Root Extract, Poria Cocos Extract, PPG-26-Buteth-26, Rehmannia Chinensis Root Extract, Iron Oxides (CI 77499), D&C Black No. 2 (CI 77266). This mascara gives the perfect definition. 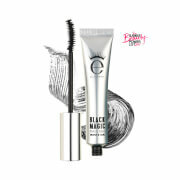 I love how it extends your lashes while providing the most gorgeous sculpted lashes. 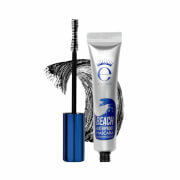 This is absolutely the best mascara I have ever used !! I live in Canada and wish it was sold here !!! Well I still order it !! No flaking.. no smudging.. nothing under the eye as I’m sweating !!! The best and it’s soft to touch ! Let me add something. They are curled! So curled it's amazing. You just hold the want for 20 seconds at the top and they are curled. Wow!!!! Holy (insert whatever swear word of your choosing) this is the most amazing mascara!!!! Um I think it is actually the best mascara I've ever used. I'm in awe. I'm fine now, but at first I could barely open my eyes because my eyelashes are so long, full and dark!!! The best! Wow. My favorite mascara by far! 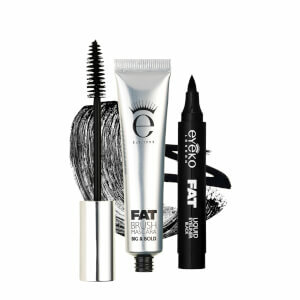 It doesnt flake or make your lashes stiff, like a lot of kinds I have used in the past. Nice taste, good mix, very effective. This is a test review please ignore it. 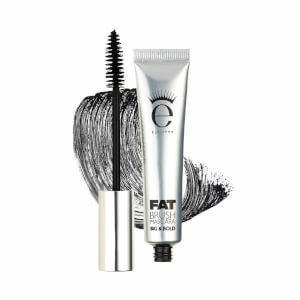 Love this mascara, 2 coats and my lashes look fabulous! This masacara is amazing. Although not waterproof, It stays, doesnt flake or run. However it washes off easily with soap and water. I reccomend this to anyone active its worth it. This is the only mascara I am ever buying. I don’t use mascara a lot but the different brands I have used have left me with raccoon eyes. I love how this doesn’t clump my lashes or smudge.